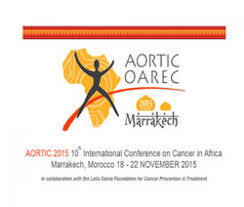 AORTIC is not only an academic meeting but is also a chance to network. One of the new networking groups that has been launched at AORTIC is PAWAS: Pan African Women’s Surgeons group. The project has been spearheaded by Dr Miriam Mutebi(Kenya) and Dr Liz Travis (USA). The aim of PAWAS is mentor women surgeons, to provide a collaborative framework for research and to promote women’s health in Africa. The inaugural meeting was held at the Association Amal in Marrakech. The association Amal is a women’s centre who empower vulnerable women and give them training in the hospitality industry. We had a delicious 3 course meal and between courses were given topics to discuss: how to be a mentee and how to promote scientific research. She urged PAWAS not to concentrate exclusively on women’s health issues. The belief that breast disease is caused by social factors resulting in consultations with traditional healers. Women should be asked why they have presented late so issues may be identified. However, Africa is a huge continent made up of many cultural groups. We should not assume that what is true in one area is true in another. Combine breast and cervical screening with HIV testing. Models that have been shown to work elsewhere should be employed initially. Any interventions should be assessed. Important to combine PAWAS projects with advocacy groups. Doctors and nurses need to be educated. Thank you to Dr Mutebi and her team for setting up this initiative.